A pretty fit and flare sleeveless dress with a retro feel. Seasalt's Picnic Spot Dress is perfect for sunny days. 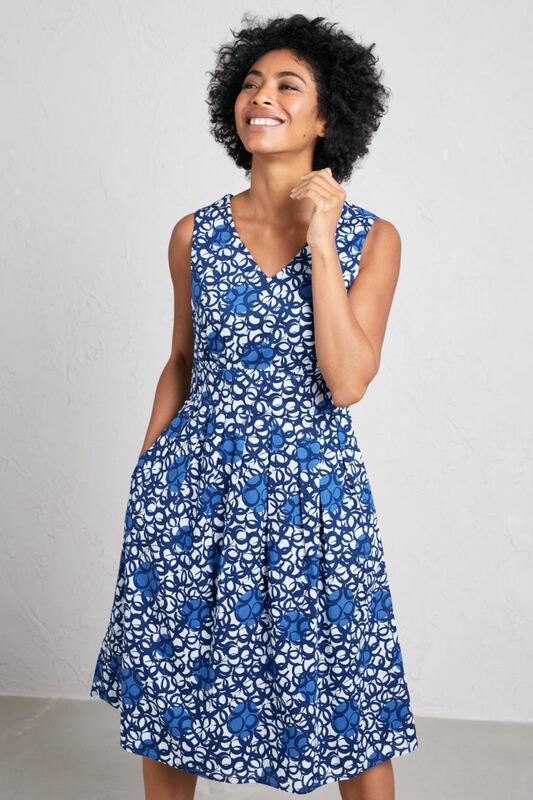 It's made from soft cotton voile in a unique Seasalt print and falls below the knee with a wide waist band for a flattering and feminine silhouette. It's fully lined so it drapes beautifully. A concealed side zip and two side pockets complete the look.